In 1983, Durango fly-fishing friends Tom and John opened the San Juan region's first and only full-service fly shop and guide service, and called it -- duh -- Duranglers. Back then, the duo tied every fly and built every rod they sold. 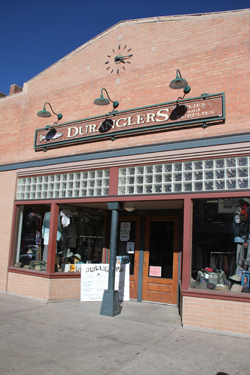 Today, in its "new" home on Durango's historic Main Avenue, the shop offers anglers everything from flies and rods to private lessons and adventure travel. Locals and vacationers rely on the staff's expertise as they navigate the region's scenic rivers in search of trout. Expert guides unlock the secrets to the San Juan's tailwaters, freestone rivers, and more mountain streams than can be fished in a lifetime. The Duranglers staff can get you your midges, streamers, hoppers, droppers, buggers, nymphs and damsels. And if you don't know what those are ... well they can help you with that too.